At least two people are known to have been involved in the assassination of John F. Kennedy, although evidence suggests that, easily, at least five people could have been involved. In my humble opinion, it is very likely that more than two people either planned or participated in this notoriously heinous act. Despite the hundreds of "conspiracy theories" that attempt to blame people for the assassination, or resolve unanswered questions, or even distract people from reality, for nearly as many self-serving reasons, it is also possible, and quite likely, that there were a large number of other people independently planning and plotting Kennedy's assassination. Reading the "fiction" of The Scrapbook Lecture will help you understand why so many people wanted JFK out of politics, one way or another, or simply wanted revenge. 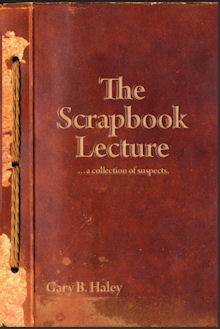 The Scrapbook Lecture is not an attempt to solve one of the most tragic, if not intriguing mysteries in modern history. Nor do I have any desire to add to all the Kennedy assassination conspiracy nonsense, which has been completely out of control since an hour or two after the shooting took place. I merely wish to share –summarize, really– what I have learned from many years of reading and researching the reasons why anyone would want to assassinate one of America's most popular presidents. Like most good research, many questions that I didn't even know I had were brought to the surface, but of course, not all of them were answered, which left me suffering from a classic case of having more questions unanswered than when I started. One of those questions also relates to one of the greatest challenges one faces today when presenting any kind of information associated with JFK. That question is, "Why do people automatically assume someone is either a 'kook' or some kind of mad-scientist version of a conspiracy theorist if they show any interest at all in the history involving John F. Kennedy's death?" The subject is actually corrupt. How does that happen? If someone even mentions JFK, many people slip into some kind of conditioned posture that makes it impossible to carry on an intelligent conversation. For example, suppose I were to ask perfectly legitimate questions about the assassination in Dallas on November 22, 1963. Questions like, 1) If authorities believed that Oswald did, in fact, fire all the shots from the "sniper's nest" in the sixth floor window because they found his prints there, why didn't they do everything humanly possible to track down the other individual who also left an additional palm print with Oswald's? 2) Why doesn't someone investigate that print today? 3) Why did the investigation die with Oswald when there was such a long list of obvious suspects that still needed to be investigated? And 4) What about the trajectory of that first shot, which missed its target, yet wound up ricocheting off a curb in a place that would make it highly improbable that it originated from Oswald's alleged position in the sixth floor window? If I were to ask these questions, many people would ignore me and consider me foolish or not in my right mind. Why is that? These are perfectly legitimate questions. If I were to ask similar questions about any other murder besides Kennedy's, those same people would likely be interested, and would not consider the questions foolish. A side note: Some of the people who started reading these notes moved on as soon as they learned the subject matter, or soon after. Thank you for reading on, as I am confident that you will be entertained and will likely even learn a thing or two about history. The stigma surrounding information that involves President Kennedy's assassination is so prevalent that I actually had copyeditors tell me that they weren't interested in editing anything that had to do with JFK. Sad, no? I did not let that discourage me from my goal of telling this story, and I hope it doesn't deter you from reading The Scrapbook Lecture, which has a good chance of giving people a far better understanding of what Kennedy was up against, and why so many people truly despised him. When President John F. Kennedy encountered his tragic fate in Dallas, I was only three years old, and although my mother's recollections of the day differ somewhat from my own, I distinctly remember hearing the news. This vivid memory, which is obviously one of my oldest, drove my interest in the assassination most of my life. I even did the obligatory "magic bullet" book report in grade school. The memory also obviously had a lot to do with the makings of this novel. Okay, yes, I'll give you this one; millions of people have a keen interest in who might have been involved in the killing of JFK. Hundreds of authors have written hundreds of books on the subject, although, unfortunately, much of the work is exclusively about one conspiracy theory or another, and focuses on promoting that theory, rather than explaining why someone planned the murder in the first place. However, few people have stepped back from all the commotion and tried to tell the whole story. Fewer still have taken the time to write about the extraordinarily large number of people who probably should have been suspects, but were not. I think I know why few have attempted to accomplish this daunting task. In a word: research. For most of my entire adult life, in my "spare" time (yes, you can work twelve hours a day and still have spare time, just put the word in quotes and you're good to go) I have been researching and reading all of the JFK information I could find. I've had to do a lot of filtering to weed out the misinformation and disinformation. I have tried to ignore the radicals and self-serving factors, and learn as much about that era as my mind could absorb. I did not have the opportunity to spend eight hours a day researching evidence. I wish I had, but I managed to read everything I could get my hands on that looked like it might be credible, or at least contain some new reliable information. I became serious about the research many years ago, in late 1980, and started making notes and reading material with organized research and reference in mind. My raw notes, of course, were dry and uninteresting, but I would often review them as I added or altered notes, or deleted notes (which happened all too frequently because of all the false information being produced). It slowly occurred to me that the contents of my notes would make for a good read if I only had the means to put them together into a story, and tie all the loose ends together somehow, so it would flow and be easy to understand. 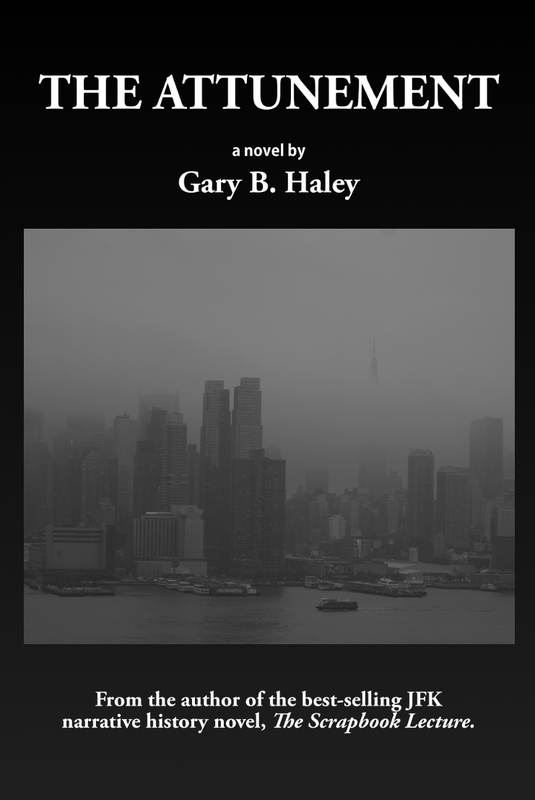 In an effort to weave a plausible storyline through a maze of history, educated speculation, and facts that, more often than not, seem disconnected or unrelated, I added a couple of characters to the mix. I did not want to do this at first. I wanted this manuscript to present nothing but facts, however, simply listing the facts was far too monotonous and disjointed without the aid of some outside element to help tie it all together. So! I created characters that were involved just enough to deliver useful and interesting information, but not involved enough to have any opportunity to be a part of recorded history in any way. My goal, at the time, was to try to teach people what I had learned about all the people who were adversely affected by the Kennedys, and the obscure history leading up to the events on November 22, 1963, in a way that is entertaining and / or interesting to a wide range of people. "Teach" was the key word upon which I focused, and from my thoughts sprang the idea of a history teacher who is quite popular because he is a gifted storyteller. This scenario seems to have worked out nicely. He acts as a bit of a narrator to explain subtleties and complicated situations that are difficult to portray in the form of a story. The thought of a prop for the old professor came to mind as well, in the form of photo album or scrapbook that someone with close connections to the Kennedy family put together over a period of years. This character became a scrap artist and master gardener living in the heart of Boston with early ties to the Kennedys. This character also has the honor of representing some of the women who went through life broken-hearted and hurt because of the Kennedys' considerable womanizing. There are also minor pieces of The Scrapbook Lecture written to characterize opinions, groups of people, and even entire cultures when the actions of a few, or of a single individual, were not enough to deliver the punch necessary to convey the significance of a point or a situation. In doing so, as always, my intent was to illustrate history, not promote, suppress or skew opinions. Putting it all together in the form of a novel has been an experience I will never forget and, hopefully, a story that readers will never forget. I hope you find The Scrapbook Lecture as interesting and entertaining as I do.